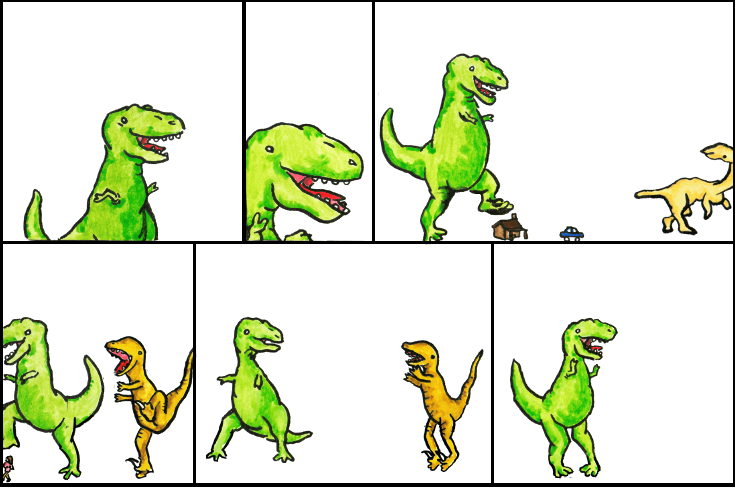 Dinosaur Comics - January 17th, 2012 - awesome fun times! –Man! Even God thinks I can't write an opera! January 17th, 2012: In some places fines are scaled to income, and then you get extremely fast rich people getting million-dollar speeding tickets, whoahhhhh! If you're in Toronto, come see me and Joey talk tonight!